The post demonetisation era finally saw the rise of Indian financial services industry, with an amalgamation of various sectors into one — the fintech. Today, fintech has expanded to include any technological innovation in — and automation of — the financial sector. This includes advances in financial literacy, advice and education, as well as streamlining of wealth management, lending and borrowing, retail banking, fundraising, money transfers/payments, investment management and more. Fintech Growth – What Has Led The Way? Fintech, essentially, is the amalgamation and application of technology in the financial services industry. India has witnessed a dramatic surge of its technological growth and adoption in recent years. The traditional financial services industry is inherently offline, time-consuming, manual, inaccessible and cost heavy. This is primarily because of the dependency on human capital for every process in the funnel. However, the integration of technology to each step of the process has brought in the change from manual to machine-driven decision making. Technology reduced operational cost: The low-cost measures in delivering financial services to the masses, is primarily driven by the boom of digital adoption and technology. This is evident by the world-class payments initiative UPI, services of which have also been adopted by companies addressing the mass market like WhatsApp, Google, Flipkart and Amazon among many others. The migration from paper to no paper processes has reduced the lead time, efforts and most importantly costs to the financial institutions. On the other hand, it has also increased the accessibility of the services to the consumers even in remote areas, doing away with the need of having a physical establishment. Regulations turned business-friendly: Innovations in the fintech space, traditionally, were held back by regulatory uncertainties and a conservative approach on the part of the government on such matters. Due to which, the financial institutions had also demonstrated a preference for slow and steady improvements as opposed to disruptive innovations in the past. However, over the last few years, we have seen a paradigm shift in these perspectives. As technologies develop further, they enable significantly more transparency to exist in financial systems, and regulatory authorities can strongly benefit from such developments. 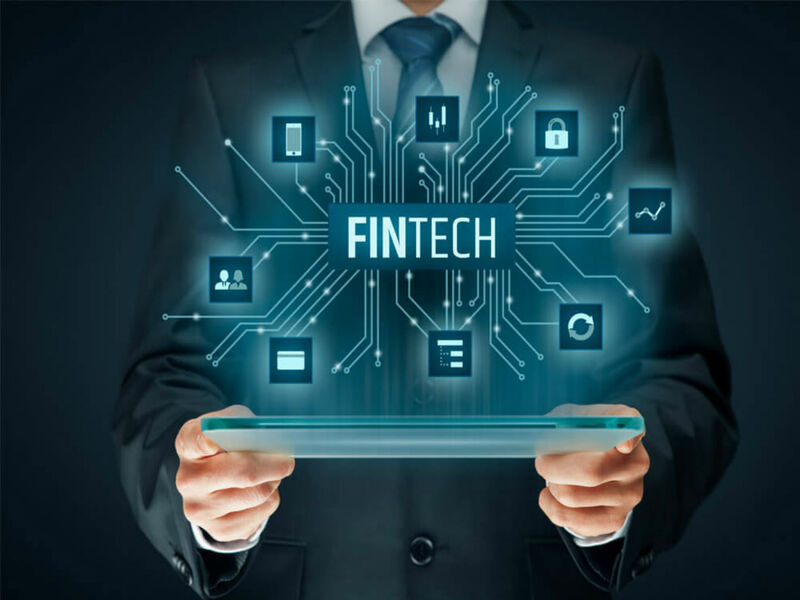 Traditional firms joined hands with New Age firms: Both traditional financial institutions and new age fintech companies have struggled with efficiently working together, and effectively scaling innovation in the same ecosystem. SBI, HDFC, YES Bank are a few leading examples here. It has been analyzed that user adoption was a challenge which typically slowed down innovation. Governmental efforts towards promoting digitization of financial systems and reducing cash transactions in the economy have been quite effective in shifting consumer focus towards digital alternatives for financial transactions and services. India offers the largest unbanked or underbanked population, along with strong technology and entrepreneurial ecosystem. Exhibit 1 highlights the strong, proactive policy level support from the government to increase financial services inclusion even to consumers in the remote areas. Initiatives such as Jan Dhan Yojana enabling bank accounts for everyone in rural areas will provide them the access to financial services which was earlier not available. Aadhaar and the emergence of UPI provides a good foundation for fin-tech companies to permeate ‘last mile’ touchpoints and boost financial inclusion across the country. The scale only matters when serviced with the right infrastructure. Rising levels of internet penetration are growing the addressable market for fin-tech. A progressive regulatory backdrop augmented by government initiatives like India Stack, Startup India Program and National Payments Council of India (NPCI) is encouraging innovation. And due to its sheer size, India is expected to see a massive pool of entrepreneurial interest driven towards fin-tech. However, such efforts are needed to be guided in the right spirit and an adequately regulated environment to ensure sustainable financial stability and security in the economy. The relationship between new age fintech companies and traditional financial institutions has now morphed from competition to collaboration. It has been seen that the symbiosis between both categories of players is directed towards creating a unified landscape where each player is benefitting from the strengths of the other, and the benefit of which is ultimately passed on to the consumer. Further, this enables the incumbents a chance to create stronger, more profitable propositions for customers and have a positive impact on their own top line and bottom line growth. The financial lending, especially in the consumer space, also has a lot of room and potential to innovate. The major highlight is that all of these categories of firms are penetrating into a larger market and addressing the needs of the market which were earlier not serviced by traditional financial institutions. They are able to cater to this challenge by innovating the product and service offerings at different income levels and customize them even at scale. Exhibit 2 depicts that 70% of the fintech ecosystem is dominated by financial lending firms and it can be inferred from Exhibit 3 that investors across all phases have also remained attracted to this category. Early VC and Angel/Seed investments share the maximum proportion of deals across all categories. Years 2015, 2016 and 2017 have seen the maximum number of deals in the financial lending over the past decade. 2018 witnessed disruption of the mainstream ideology of investment participation as all three categories of investors as Angel, Early VC and Growth converged on the same number of investments in financial lending. Surprisingly, investment platforms didn’t witness any investment from Growth VCs until the end of 2018. There may be two inferences, one that most of the continuing startups have become self- sufficient in terms of positive free cash flow and are not dependent on external capital (Ex: Zerodha) and the other that the Growth stage funds could find enough opportunities which met their criteria of expected returns. B2B offering is seen to be growing in the past few years across all categories. Alternative Currency/Blockchain category received only Angel/Seed investments so far. Exhibit 4 demonstrates the correlation among different categories of investors and the total amount of funding over the last past decade with 2014 being the inflection point. The number of investments by Growth VCs in Payments had tripled in 2015 and has remained constant for the next three years. 2016 has recorded the highest number of investments so far and the number of Angel/Seed investments were 2.2 and 3.2 times than the Early VC and Growth VC investments respectively. The decline in deals in the subsequent years as reflected above denotes a higher amount of growth VC investments as the companies mature. Payments have been the most funded segment within the Indian fin-tech landscape, riding on the demonetization wave. The spike in 2017 is primarily driven by USD 1.4 Bnn funding by SoftBank Group in Paytm which is by far the highest amount of funding received by any fintech firm in India. The company reportedly raised an additional $300 Mn from Warren Buffet’s firm Berkshire Hathaway; subsequently instilling belief on the growth of fintech industry in India. The amount of Growth VC investments in Financial lending over the past decade is almost 4.5 and 25 times of the amount of Angel/Seed and Early VC investments respectively, and total funding in financial lending witnessed 36% CAGR over the past five years. The number of companies raising subsequent rounds of funding remained high in the fin-tech industry. This is a very positive sign for the Angel/Seed investors to have a higher probability of maximizing their returns either by the increased valuation of the companies or getting high liquidity pool by means of exits in the subsequent rounds. Average ticket size of Angel/Seed investments has seen an all-time high in 2018. The same saw a dip in 2017, the year which witnessed the all-time high deal size in Early and Growth VC investments. This denotes the maturing stage of many fintech firms in 2017 receiving attention and funding in the growth rounds. 2016 was the year recording lowest ticket size in Early VCs investments over the past 7 years. The variance in the average size of deals highlights the high supply of fintech firms raising funds which is a mix of equity and debt rounds. The increase in average deal size in Angel/Seed investments validates the increased participation of micro and early-stage VCs in the seed round investments. While the individual angel investors’ cheque size may remain the same or increase marginally, the seed stage VC investments explain the skew. This is a very positive sign for the early stage startups which can now have the backing of a VC firm along with having various individual and strategic investors on board even in the early rounds of fundraising. Which Fintech Business Models Are Expected To Evolve In The Next Lustrum? Rise of New Age Tech: AI, ML, Blockchain, AR and IoT have served significant use cases for fintech growth globally. Blockchain driven banking solutions are successful in the US, UK, Singapore and can see penetration in India. Biometric driven payments due to India Stack can be expected. AI-driven and ML-driven data points to generate credit and risk profile of customers also have tremendous potential to boom. Expansion Of Fintech To Different Spheres: It is expected that wealth maximising and management solutions will surge across different spheres. The amount of wealth is compounding at 12-14% in India creating a greater need for people to manage it. Current penetration of institutional players managing wealth is very low at less than 25%. AI chatbot-driven wealth maximisation and management tools will be seen to emerge. Traditional wealth management techniques may be revamped offer personalised solutions to customers. Robo-Advisors Are On The Way: AI-driven Robo advisors in the financial services are sprouting across the retail investing space globally. Many global web-platforms powered by deep algorithms, viz. Robo advisors, offer financial and investment advice on submitting personal finance details. As India reaches parity with developed economies, a greater number of startups using these technologies will emerge. New Age Insurance Solutions At Defence: The new age insurance solutions will provide security across various touchpoints. Global Insurance firms are offering customised solutions by leveraging data like tailormade health policies based on customer’s orientation towards remaining fit. Few startups are also exploring the integration of AR to smoothen the consumer experience towards automobiles claims. Few firms also operate on differentiated business models where the total policy amount is pooled centrally and used to pay off claims and the remaining balance determines the next premium amount for all policyholders. Bringing it all together, the fintech revolution is slowly collaborating all the existing technologies in one complex environment. While digitisation is the beginning of the revolution, it is further leading the millennials to the future comprising smart homes, smart cities, smart contracts, open banking and much more. The adoption of blockchain and cryptocurrency will just add a finishing touch thereby bridging the fintech startups, banks, finance institutions and consumers in one loop. Definitely, the future with fintech is worth looking forward to! Why Is This A Right Time For Indian Fintech Startups To Expand Internationally?